Ubass Cases: Different options for the acoustic/electric Ubass – Play UBass! 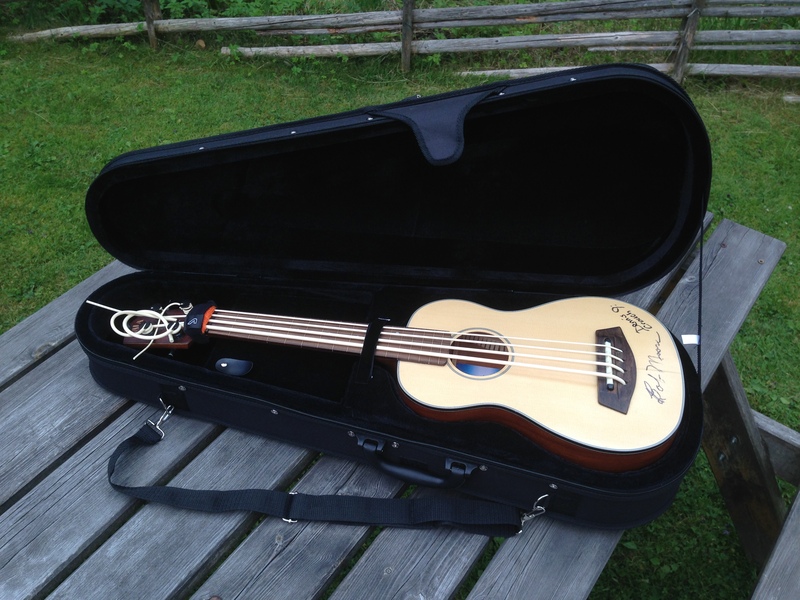 If you want to get a new case for your acoustic/electric UBass there are a few options. 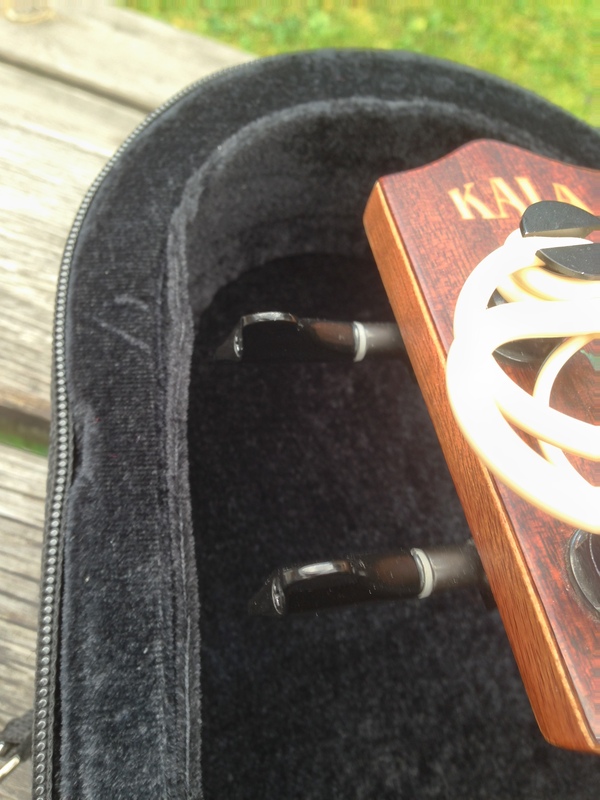 Besides these very nice hard cases you can also use the case designed for the Baritone Ukulele! I’ve used one of these Baritone Cases for a while now and it works really well. It’s super light and still quite sturdy. It’s not as sturdy as the hard cases above but still a good lightweight alternative. You can also use it as a back pack or side carry with the supplied straps. Happy Ubass Summer to everyone! Tuning pegs gets quite close to the side of the case so be careful when you put the ubass in the case! I bought what was supposed to be a semi-official lightweight case today, but didn’t even get it home before I discovered that it had the same fault as the official gig-bag – poor quality zip that bursts open spontaneously. I took it back to the shop, and they insisted on giving me a refund rather than the other case they had in stock, which suggests to me that I was not the first person to present this problem. Has anyone here found the same fault? The cases seem to be reasonably well made – are they just using duff zips? Is this the same baritone case as in my blog post? I have had no problems with the zips so far. But I do think you have to be extra careful and not in a hurry when using them. A more ”heavy duty” zip would be a great upgrade to the baritone case, I think. The gig bags for the solid body California Ubasses are great with a good zip solution. Pingback: Reviews and tests | Play UBass! You can check out the following brands. Have not tried them yet but will probably have the gruvgear bag soon! Let me know what you’ll get the I can pass on the recommendation on the blog! Pingback: Review: Gruvgear Gigblade for Baritone Ukulele/Ubass – Play UBass!